If Marcus Harris and Aaron Finch walk out to open the batting for Australia in next week’s first Test against India, they’ll do so knowing the weight of history is against them. With Finch playing just his third Test and Harris expected to make his debut at the top of the order, Wide World of Sports has uncovered the stat that reveals just how much of a gamble Australia is taking with its opening pair. The Adelaide Test will mark the 1,485th time two Australians have headed to the crease to begin a Test innings, and on only 10 of those occasions has the pair been less experienced at Test level than Finch and Harris, and four of those 10 were before 1890. The most recent occurrence of a less experienced pair came way back in the summer of 1979-80, when Bruce Laird and Julian Weiner opened against England in Perth, although Laird was more seasoned than it might appear, having played World Series Cricket. If the vagaries of World Series Cricket are discounted, we need to go all the way back to 1951-52 to find a pair with fewer combined innings at Test level than Finch and Harris. When Mark Taylor made his debut he was accompanied to the crease by Geoff Marsh, playing his 26th Test match, and Taylor says having a wise head at the other end was invaluable. “Of course it's a concern when you look at the numbers like that,” Taylor told Wide World of Sports. “You’d obviously like to have a more experienced player in there somewhere, when you’ve got a debutant opener. “Having said that, Aaron Finch is our ODI and T20 captain, so even though he’s only played two Tests he’s not exactly a rookie at international level. 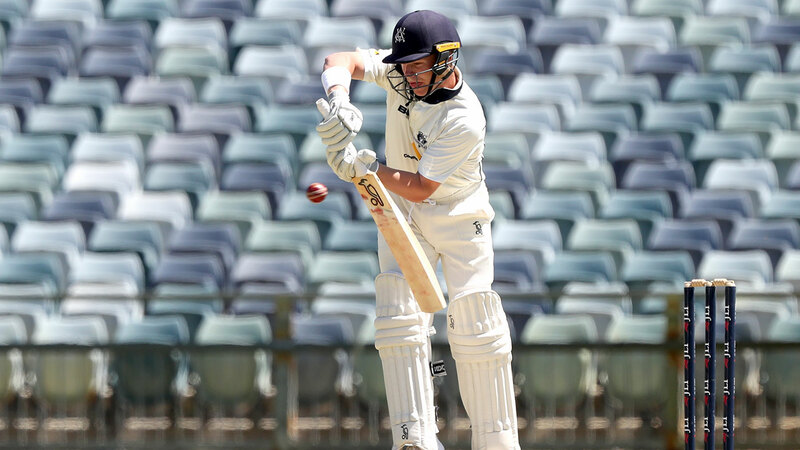 “One thing that will help them is they've played together at Victoria and Melbourne Renegades, so that will put Harris at ease a bit, having a domestic teammate alongside him. “But there’s no doubt they’ll be nervous the first time they walk out together. Taylor says Finch can put Harris at ease by playing his natural, aggressive game. “I think he has to play his normal game in the Test match. “He has to be a right-handed version of David Warner. 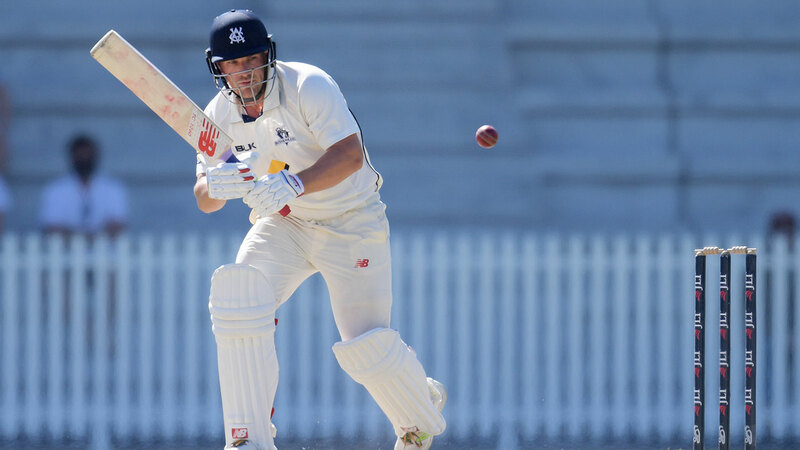 Finch’s lack of time in the middle as an opener in the long-form of the game has already drawn criticism from the likes of former Test spinner Shane Warne, who slammed Victoria for not giving Finch a chance at the top of the order in Sheffield Shield matches. Finch’s experience opening for Victoria against the red ball is limited to just four matches in the 2013-14 season, when he was dismissed for 18 or less in seven of his eight innings. Since then he has established himself as a middle-order batsman, averaging a healthy 43.00 since the start of the 2016-17 season. He was solid at the top of the order in the two Tests against Pakistan, although in spin friendly conditions in Dubai and Abu Dhabi that are significantly different to the challenges he’ll face in Australia. Only once has an Australian opening pair with less than 10 Test innings between them produced a century partnership, and that was more than 70 years ago. However Finch and Harris can draw inspiration from another inexperienced Australian opening pair, who faced India at the MCG in 2011-12. Like Finch and Harris, David Warner was playing his third Test and Ed Cowan his first. Warner made 37 and Cowan top scored with 68, setting Australia on course for a first innings of 333 and a 122-run victory. Australian captain Tim Paine would no doubt jump at the chance for a similar outcome next week. 4 innings – eight occasions, including Warner/Cowan – vs India – MCG – 2011-12 (first innings), and potentially Finch/Harris – vs India – Adelaide – 2018-19 (first innings).